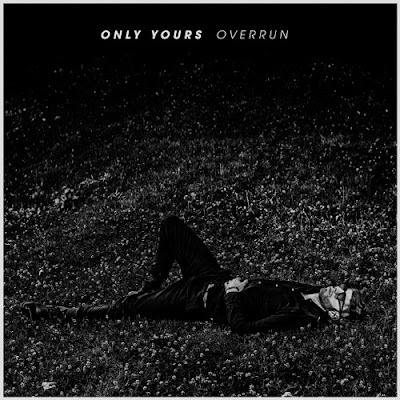 Toronto-based four-piece band Only Yours, lead by acclaimed songwriter Lowell Sostomi, have just unveiled their brand new single Surely I, a lovely piece of indie-pop music taken from their debut EP Overrun, out now via Pirates Blend. I am a fan of Sostomi's baritone vocals and how he perfectly conveys the emotion behind the bittersweet lyrics. The song has a steady beat and infectious melodies packed with delicate piano keys, smooth percussion, lovely sax touch, and intricate strings section that provide an airy atmosphere to the whole song. Surely I is a beautiful piece of music perfect for radios. Stream it below! Produced by legendary producer, Joe Chiccarelli, (The Shins, The White Stripes, Morrissey) and engineered by Leon Taheny (Arcade Fire, Dilly Dally Weaves), Overrun is an album in every sense of the word, a collection of ten inter-connected works, boasting a consistency of unparalleled song craftsmanship. An indie pop record, immersing the listener in high energy, driving choruses and epic, emotionally charged ballads. The result is a stunning record that feels at once emotionally familiar and yet, simultaneously, completely fresh and modern. Overrun offers layers of musicality around self-reflective questions and discoveries, all finely curated with pop sensibilities. Stream the entire project below!